FUN for all ages is the motto of London's Tall Stories theatre company, which brings its latest work to our shores for the school holidays. 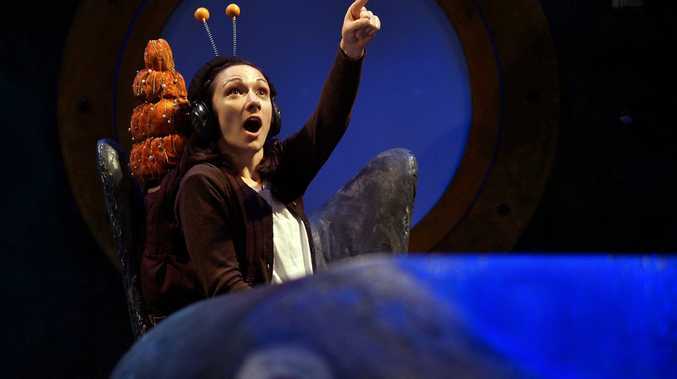 Julia Donaldson's award-winning picture book The Snail and the Whale comes to life in the new live show. The innovative production, complete with music and sing alongs, was partly inspired by the British Army's Storybook Soldiers program. "We'd loved the book for a while but couldn't think of a way of putting it on stage," director Tony Mitchell told ARM. "Then I read an article about Storybook Soldiers and how they help British servicemen and women record bedtime stories on CDs for their kids at home. We heard some of their favourite stories were the Julia Donaldson titles like The Gruffalo and The Snail and the Whale." In Donaldson's book, a tiny snail hitches a lift on the tail of a humpback whale. Together they go on an amazing adventure experiencing sharks and penguins, icebergs and volcanoes. 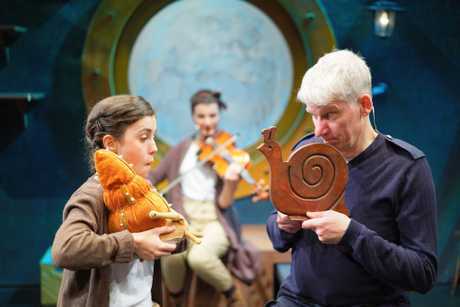 On the stage the snail's journey is seen through the eyes of an adventurous young girl and her seafaring father. "We had the idea to tell it using a father and a daughter, so we checked with Julia and she gave us permission to use her story," Mitchell said. "The girl becomes the snail and the dad becomes the whale, so we have these two stories happening at once." Through its script the show has remained faithful to Donaldson's beautifully written story. "We use every single word from the book because the words in the book are so brilliant," he said. "We've adapted four of Julia's books now and we always put every word in because the words are so good. It's also something the youngest members of the audience can hang on to." And parents don't have to worry about the little ones getting bored during the 55-minute show. "There's lots of fun and silliness for the audience to join in if they want to. We make sure children enjoy it, but it's important the grown-ups have fun too." The Snail and The Whale opens at QPAC's Cremorne Theatre on Friday and plays through January 22. For more information and tickets go to QPAC's website.